The talented faces behind the L’Ecole brand. 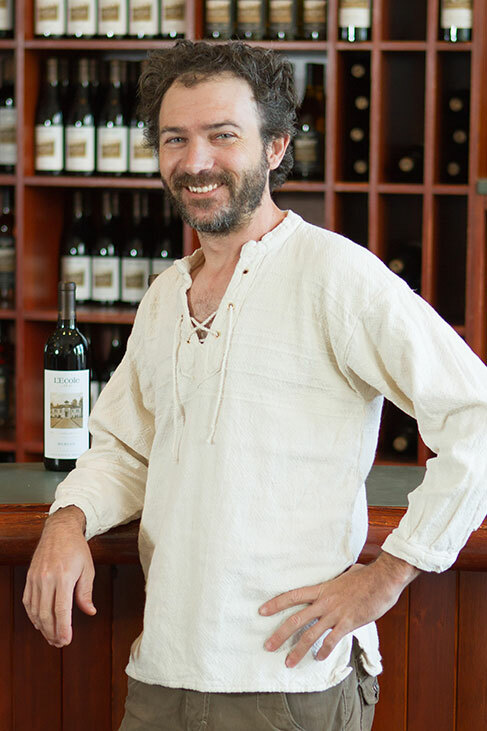 Marty is Managing Winemaker and Co-Owner of L’Ecole N° 41 with his wife, Megan, and children, Riley and Rebecca. Marty assumed the operation of the winery from Megan’s parents, Jean and Baker Ferguson, in 1989, six years after the winery’s founding. Today Marty’s primary focus is a hands-on approach to the winery’s viticulture operation. Along with his Estate Ferguson and Estate Seven Hills Vineyards, Marty personally works with over 30 vineyards located throughout the Columbia Valley. He collaborates with each grower to optimally manage contracted vineyard blocks to meet the quality requirements established by the winery. Constance Savage is the General Manager of L’Ecole N° 41. 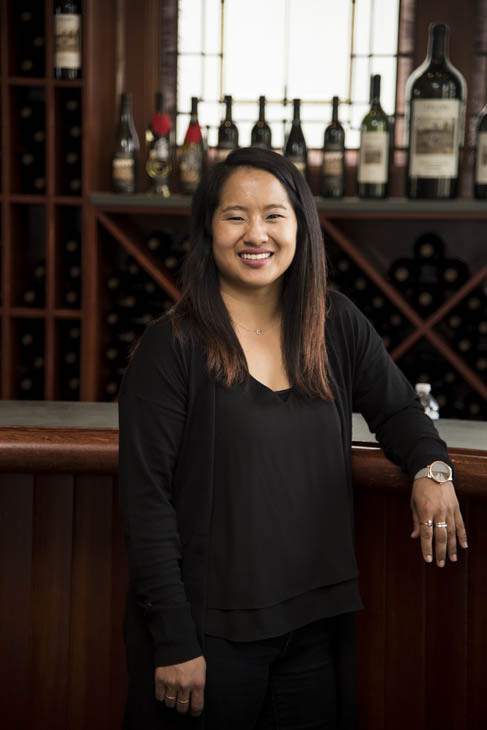 Joining the team on the first day of harvest in 2018, she is responsible for managing the business side of the winery including: sales; marketing; administration; and human resources. She is a WSET Diploma holder and industry veteran, and holds Masters Degrees from Manhattanville College (Marketing) & CUNY Zicklin School of Business (International Business). Prior to her employment at L’Ecole N° 41, Constance worked at Kobrand Corporation for over twenty years. As a VP, she worked directly with Kobrand’s highly-esteemed producers of wine & spirits. In 2012, she made her first trip to the Walla Walla Valley, and promptly fell in love with the wine, terrain and people. She and her family look forward to welcoming you to Walla Walla! 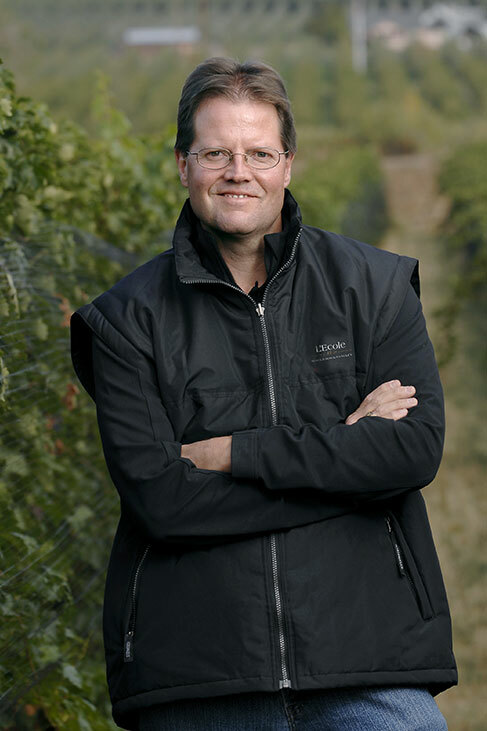 Mike has worked side-by-side with Marty making wine at L’Ecole N° 41 since 1996 and was named Winemaker in 2006. Together they collaborate on every aspect of the winemaking operation. Mike is responsible for the management of all winemaking, cellar, laboratory and bottling activities. He is a Walla Walla University graduate and when not at the winery, you may see him teeing off at Wine Valley Golf Club or hanging out with his wife, Christine, and their two children. Bill joined the L’Ecole production team in 2004. He is an integral part of the winemaking team, assisting in all aspects of production, including: cellar work; filtration; laboratory; bottling and harvest activities. Bill is a graduate of Walla Walla University. He and wife, Heather, along with their young son enjoy extended family excursions to Sun Valley and Hawaii. Jeff joined the L’Ecole production team in 2004. 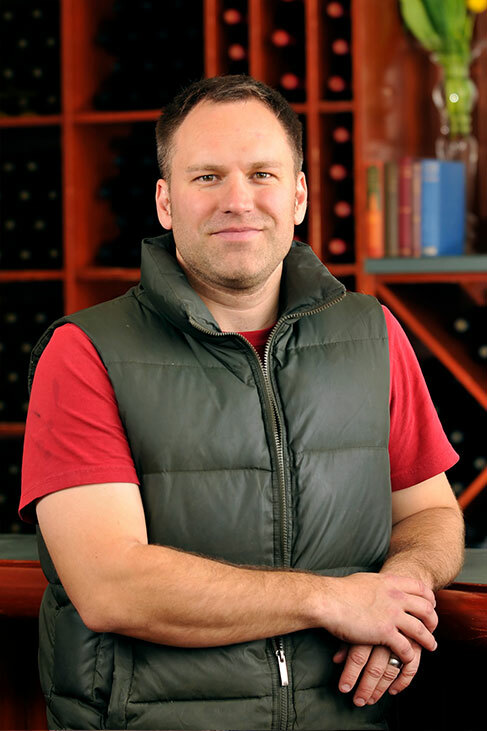 He is an integral of the winemaking team, assisting in all aspects of production, including: cellar work; filtration; laboratory; bottling and harvest activities. Jeff and wife, Rachel, keep busy taking care of their 2 acre homestead and enjoy traveling and snow skiing. Jeff is a University of Washington graduate. Dan joined the L’Ecole team in 2013 and held a variety of winery positions prior to assuming his current role as Cellarmaster. 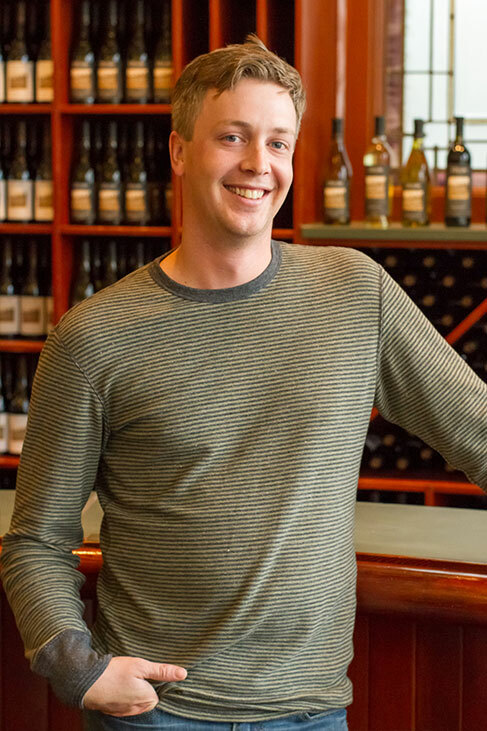 He began in our Tasting Room while attending the Enology and Viticulture program at Walla Walla Community College. After graduation, he was a member of the L’Ecole harvest crew and upon completion became Shipping Manager. Dan joined the winemaking team full-time in 2016. He was raised in Tacoma and lived throughout the Pacific Northwest before following his passion for wine to Walla Walla. Dan enjoys hiking in the Blue Mountains with his wife, Olivia, young son, and dogs. 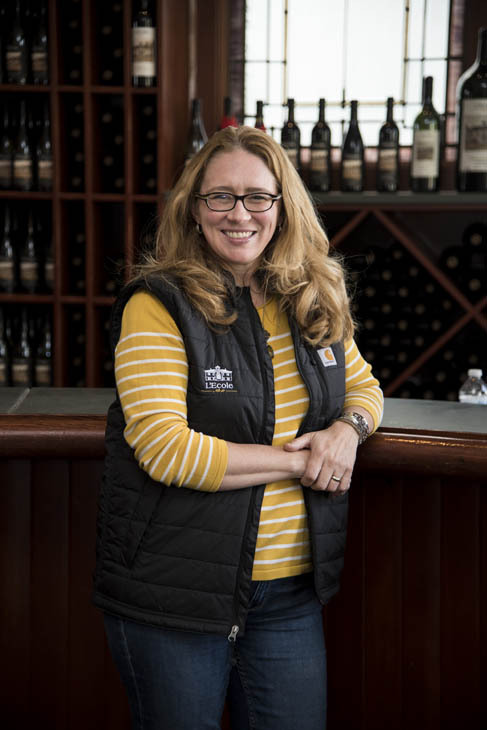 Kim oversees the winery’s day-to-day business relationships with over 60 distributors – covering 47 states and more than 20 countries across the globe. Kim was hired in 1998 when the winery produced just a few thousand cases. As L’Ecole has grown, she has played an integral role in building the winery’s brand and managing its growth and sales. 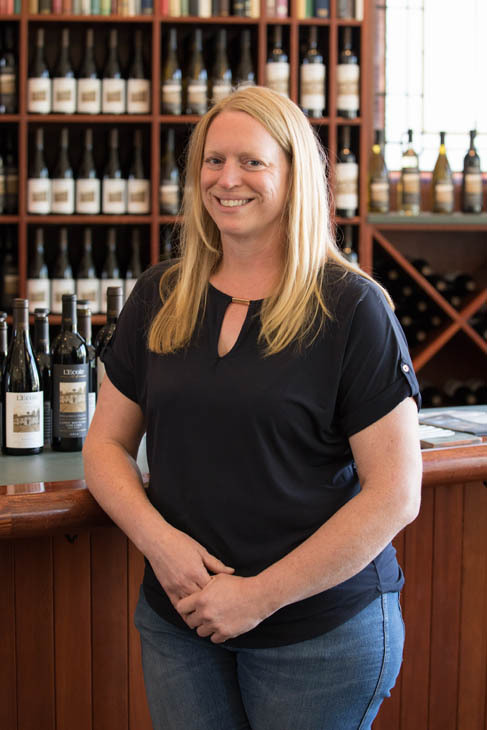 Kim is a graduate of Whitman College and began her career in the wine industry in 1996 working for the Chalone Wine Group. 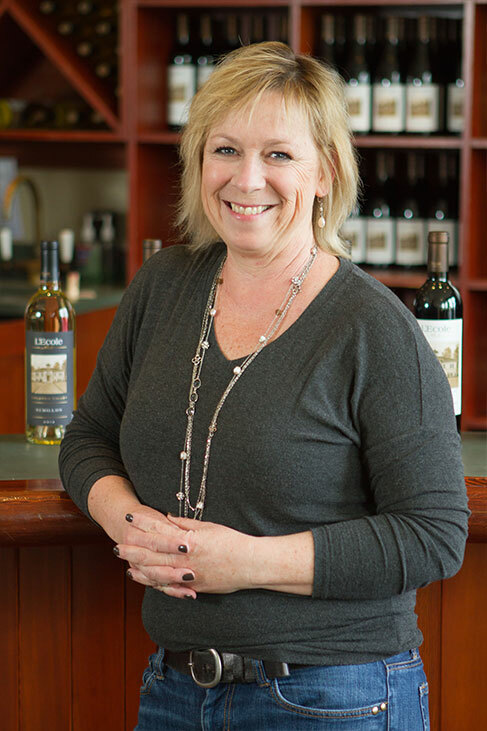 Kim currently sits on the marketing committee for the Washington Wine Commission and, when not pursuing her interest in food and wine, enjoys golf and spending time with her family. Pappardelle with veal ragu and Estate Ferguson. Grilled Blue Valley fillet mignon, gnocchi with creamy pesto sauce and Estate Ferguson. Brenna Carlile assumed the role of National Sales Assistant in April 2015. She attended Wenatchee Community College and was working in the banking industry prior to L’Ecole. Brenna is responsible for distributor purchase orders, invoicing, logistics and inventory management. She also plays an integral role in the increasing marketing needs of the winery. In addition to her love of wine, Brenna enjoys spending time with her family, traveling and cooking. Her passion for fitness and anything active is second to none and you may even find her skydiving from time to time! Alyson joined the L’Ecole team as Tasting Room Manager in 2018. Originally from Alaska, she moved to Walla Walla to attend college in 2005 only planning to stay a short time. The growing wine industry caught her attention and in 2010 she accepted her first position in the wine industry. She has held hospitality roles at some of the region’s most prestigious wineries, most recently as Hospitality & Events Manager for Dunham Cellars. Her dedication to making every guest’s experience memorable and her love of Washington wine make her a perfect fit for the team. Outside of the winery you can find her being a dog mom, working on her new home and enjoying all the best things in life: wine, food, music and friends. Jaime joined the L’Ecole team in 2005. She coordinates all Club shipments and events with a focus on providing optimal service in every aspect of membership. Her position has evolved to include the growing areas of consumer direct sales and social media. Prior to L’Ecole, Jaime traveled the country as a training instructor with John Deere Company. Away from the winery she enjoys seasonal outdoor pursuits such as horseback riding, hiking, snowshoeing, kayaking, as well as cooking up new recipes with friends. She is a graduate of The Ohio State University (’98, ’00). Pam joined the winery in 2016. Her voice greets our callers and she responds to winery email inquiries. A major part of her job is to manage and coordinate all of the winery’s charitable donations and provide office support to the L’Ecole team. Prior to working at the winery, Pam’s career path gravitated to executive level administrative support positions within local government. In her spare time, Pam heads a non-profit that supports art organizations throughout the Mid-Columbia area. She enjoys reading, baking, community service, and an active lifestyle with her family, friends, and dogs. Nanci joined L’Ecole in 2000 as part-time accountant. As the winery grew, her position also grew to address the financial complexities of the evolving wine industry. Nanci was named controller in 2009. In addition to her financial responsibilities, she manages compliance and provides human resources support. Nanci is a graduate of the University of Puget Sound. She loves time with her family, cooking, sports, and fine wines. “Nothing better than a Seahawks game, popcorn and L’Ecole Chardonnay!